The prestigious Abel Prize honors distinguished mathematicians for their contributions to the field. The 2019 Abel Prize is no different, except that its recipient is the first woman to be named an Abel Prize Laureate. Karen Keskulla Uhlenbeck was honored for her research of minimal surfaces, gauge theories, soap bubble behavior, and more — as well as her exemplary use of nonlinear partial differential equations (PDEs). Karen Keskulla Uhlenbeck was born in Cleveland, Ohio, and grew up with an interest in science, physics, and mathematics. Throughout her education, she was recognized for her natural aptitude for math, but faced ridicule and misogyny for it as well. 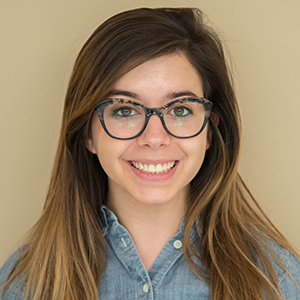 When deciding where to pursue her postgraduate education, Uhlenbeck wanted to avoid the competitive and unwelcoming environment she had already experienced, which she expected from prestigious universities. Instead, she earned her PhD in mathematics at Brandeis University in Waltham, Massachusetts. 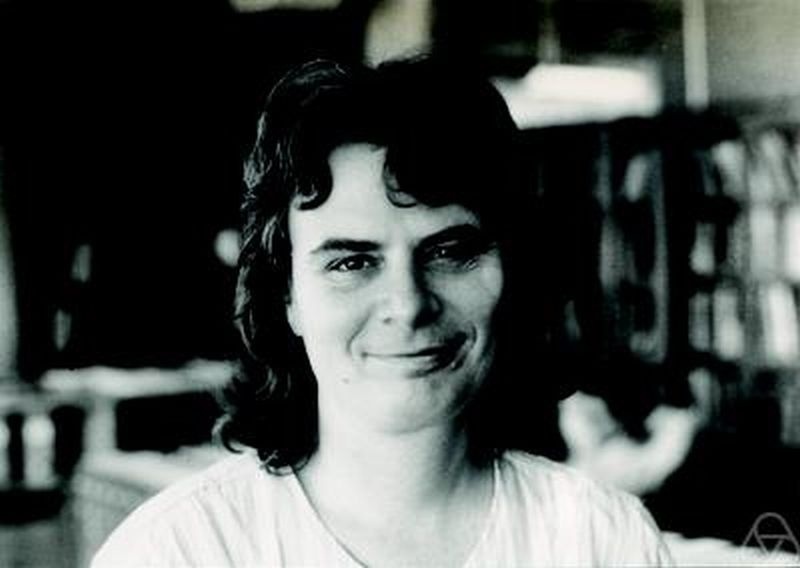 A 1980-era photograph of Karen Keskulla Uhlenbeck, Abel-Prize-winning mathematician. Image licensed under CC BY-SA 3.0, via Wikimedia Commons. Uhlenbeck later taught at MIT; the University of Chicago; and other schools before becoming the chair of the mathematics department at the University of Texas at Austin, from where she eventually retired. Uhlenbeck is recognized as a trailblazer in many areas of mathematics, as her accomplishments illustrate. In 1990, she became the second woman to give a plenary lecture at the International Congress of Mathematicians (ICM), in Tokyo, Japan. (The first woman to do so was Emmy Noether.) In 2000, Uhlenbeck won the U.S. National Medal of Science. Uhlenbeck is also an advocate for women in STEM. She started the Women and Mathematics Program at the Institute for Advanced Study in Princeton, New Jersey, a state where she spent much of her childhood. The aim of the program is to encourage and support women pursuing careers in math. On March 19, 2019, Karen Keskulla Uhlenbeck was named the 2019 Abel Prize Laureate for her groundbreaking research in mathematics. “Of all the shapes a soap film could take, why does it settle on a particular one? The answer is that it wants to take a shape that minimizes its energy. Variational calculus is a branch of mathematics that studies shapes or functions that optimize some quantity. It has pervasive applications in science and engineering and can be used, for example, to determine the path an airplane should take to minimize travel (spoiler: not a straight line) or the deformation of an elastic object under load. “The Korteweg-de Vries (KdV) equation, formulated in 1895 by Korteweg and de Vries, models water waves. It is a nonlinear PDE that introduces no dissipation, and the resulting waves travel seemingly forever. In 1965, Zabusky and Kruskal named such waves solitons. 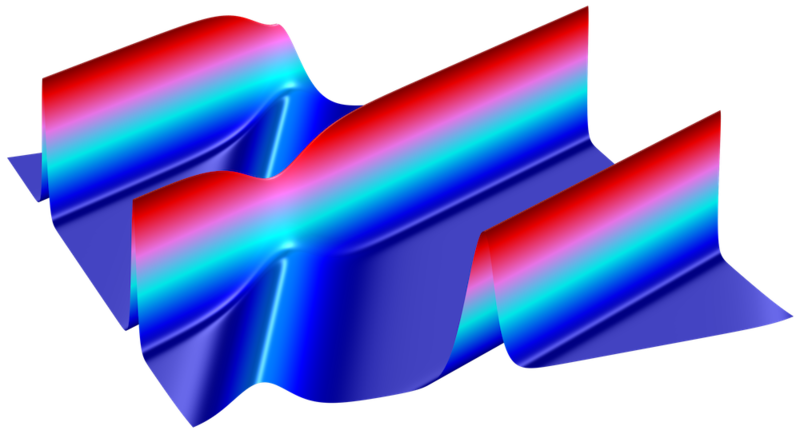 A soliton wave modeled with FEA software. The Abel Prize was started by the Norwegian Academy of Science and Letters in 2002. It is named after Niels Henrik Abel (1802–1829), a Norwegian mathematician who accomplished a lot by a young age. Abel did groundbreaking work in many fields of mathematics; for example, developing the first proof that you cannot solve a general, fifth-degree polynomial equation using radicals (expressions involving square roots, cube roots, etc.) Unfortunately, Abel passed away of tuberculosis at only 26 years old. The academy set up the award as a way to honor Abel and the contributions he made to mathematics during his brief life. 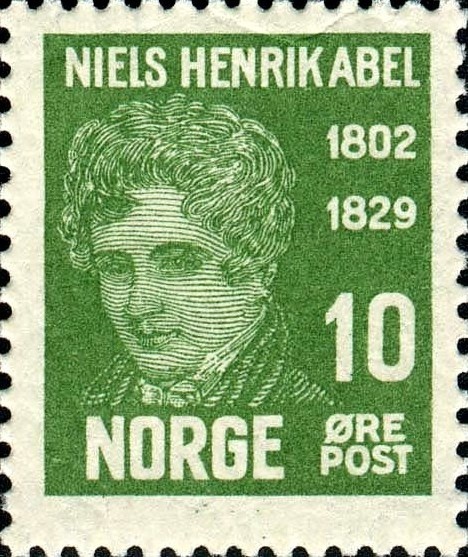 A Norwegian stamp commemorating Niels Henrik Abel, the namesake of the Abel Prize. Image in the public domain, via Wikimedia Commons. Past recipients of the Abel Prize include Andrew Wiles, a British mathematician who proved Fermat’s last theorem; John Tate, whose research greatly impacted the theory of numbers; and S. R. Srinivasa Varadhan, a main contributor to probability theory and large deviations. Join us in extending our congratulations to Karen Keskulla Uhlenbeck, 2019 Abel Prize Laureate and groundbreaking mathematician!